422 pages | 204 B/W Illus. 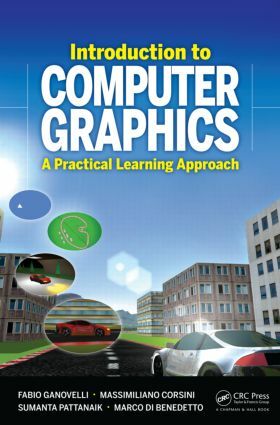 Introduction to Computer Graphics: A Practical Learning Approach guides students in developing their own interactive graphics application. The authors show step by step how to implement computer graphics concepts and theory using the EnvyMyCar (NVMC) framework as a consistent example throughout the text. They use the WebGL graphics API to develop NVMC, a simple, interactive car racing game. Software development does not require installation of IDEs or libraries, only a text editor. "The book is presented in a very accessible fashion. The authors give many examples illustrating the notations and problems considered, making the learning easier. Every chapter ends with exercises, both theoretical and programming. The book is suitable for upper-level computer science/math/physics undergraduate students with at least basic programming skills and at least elementary understanding of linear algebra and calculus." Introduction: Do We Need Texture Mapping?